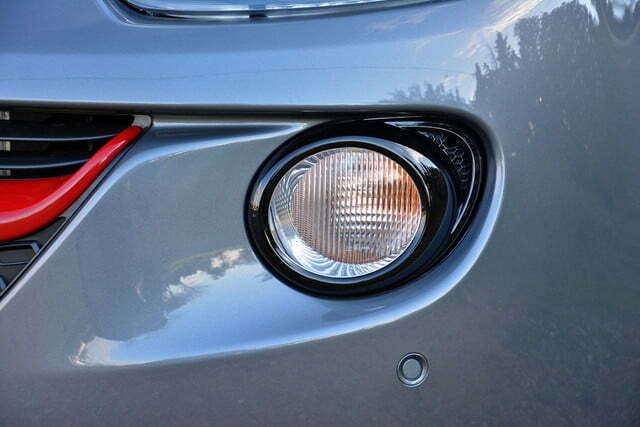 The retro-chic 500 has reigned supreme in Europe since Fiat yanked it out of the history book in 2007. 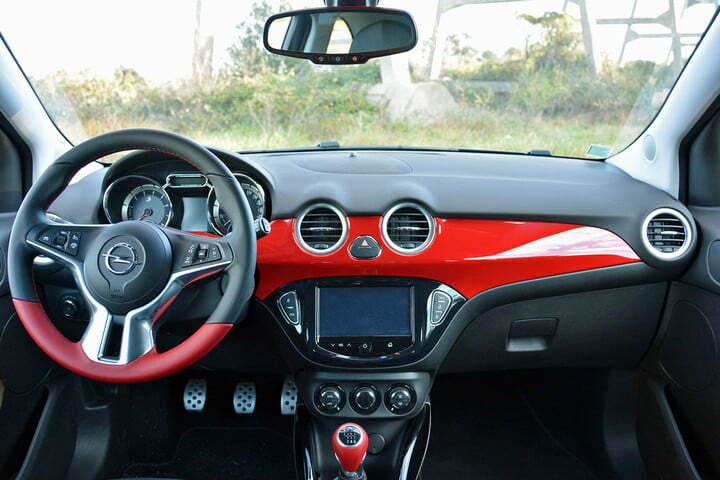 The Turin-based firm took the city car segment by total surprise. 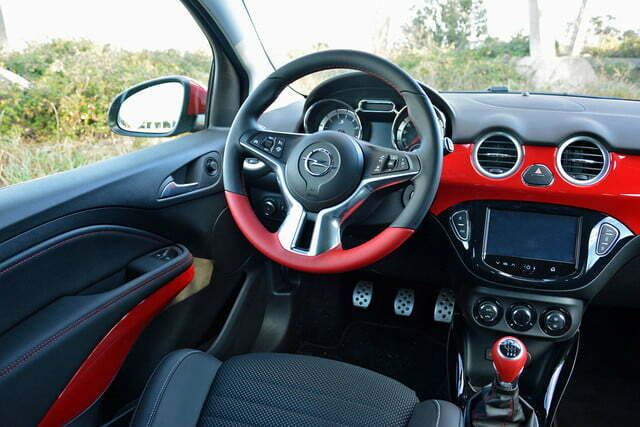 Rivals scrambled to fight back by sprucing up similarly-sized econoboxes with trendy decal packages and eye-catching paint colors, but no one built a true, purpose-designed 500-fighter until Opel came along with the Adam in 2012. 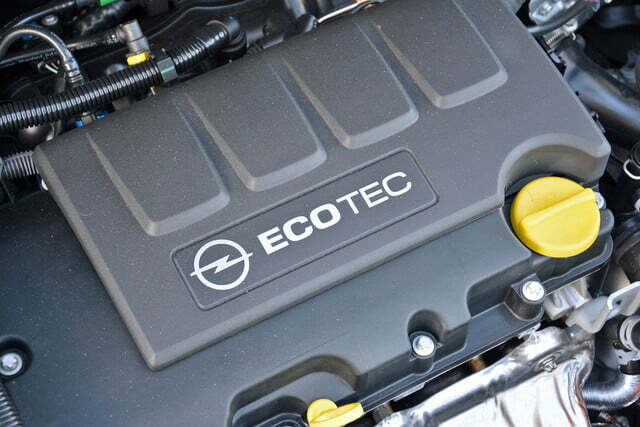 For those who need a brief refresher course, Opel is Buick’s Germany-based sister company. That means Buick could theoretically sell its own version of the Adam, but the model wasn’t designed with U.S. regulations in mind so bringing it over here would be easier said than done. Giving Buick the Adam was nonetheless considered – and even encouraged by former General Motors boss Dan Akerson – but it was recently ruled out because the small car segment is steadily declining. 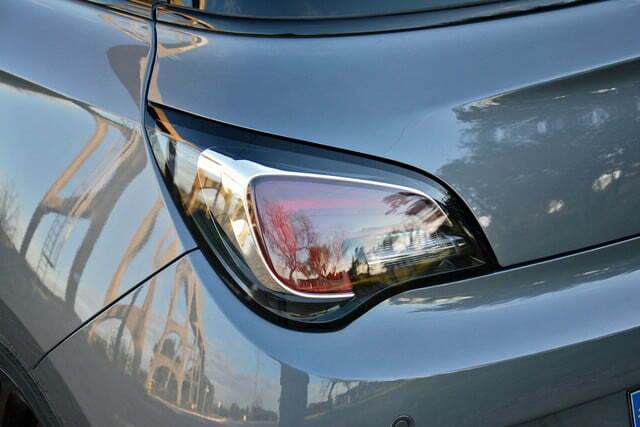 Still, the Adam intrigues. 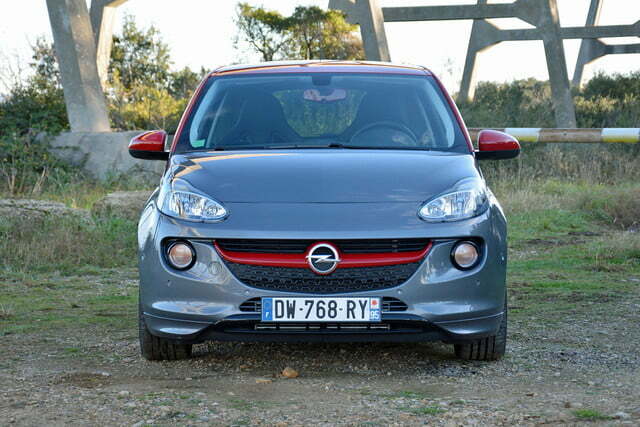 I headed to sunny southern France to experience the most stylish member of the Opel lineup first hand. 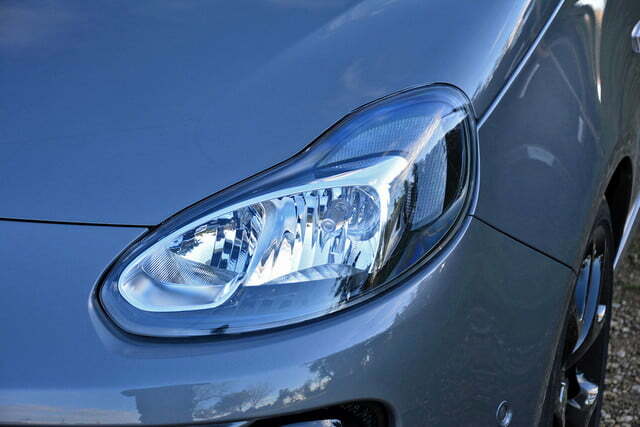 The Adam is offered with a long list of gasoline and diesel-burning engines. 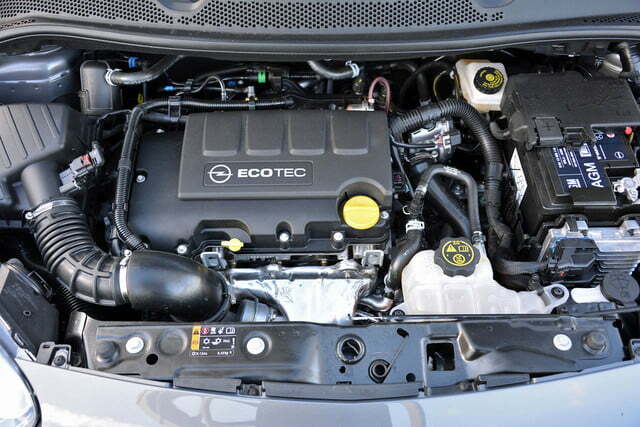 Tested here, the S model is positioned at the top of the hierarchy courtesy of a turbocharged 1.4-liter four-cylinder EcoTec engine that provides 150 horsepower from 5,000 to 5,500 rpm and 162 pound-feet of torque from 3,000 to 4,500 rpm. The four-banger spins the front wheels via a six-speed manual transmission. It stretches 145 inches long, 67 inches wide, and 58 inches tall, dimensions that make it slightly longer and wider than the Fiat 500. 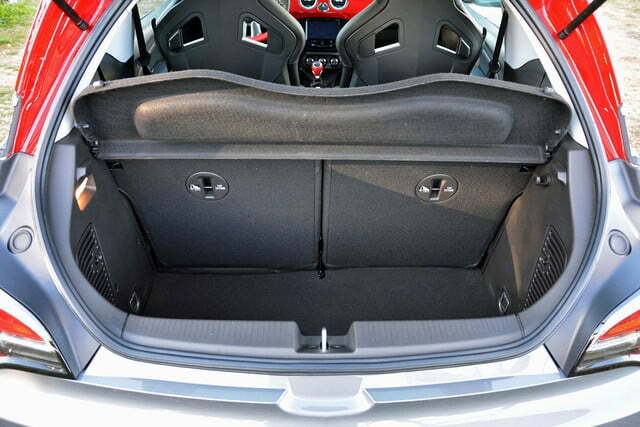 Trunk space checks in at just 6 cubic feet, which is on the low side for the segment. Form over function, indeed. 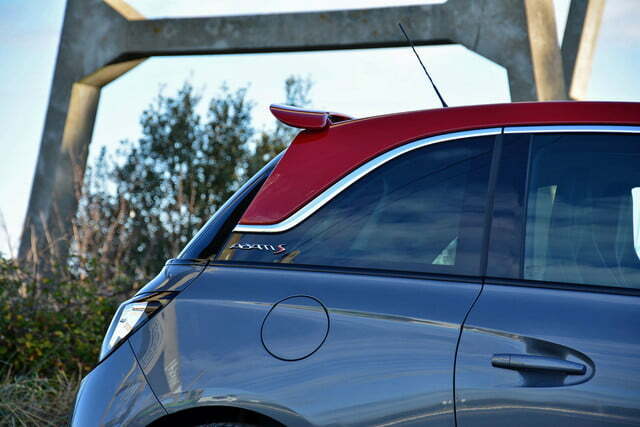 Opel exclusively offers the Adam as a two-door hatchback, but the lineup is divided into several sub-models. There’s the standard Adam, the crossover-ized Adam Rocks – which gets plastic body cladding and a lifted suspension – and an Open Air variant with a 500C-like retracting cloth roof. 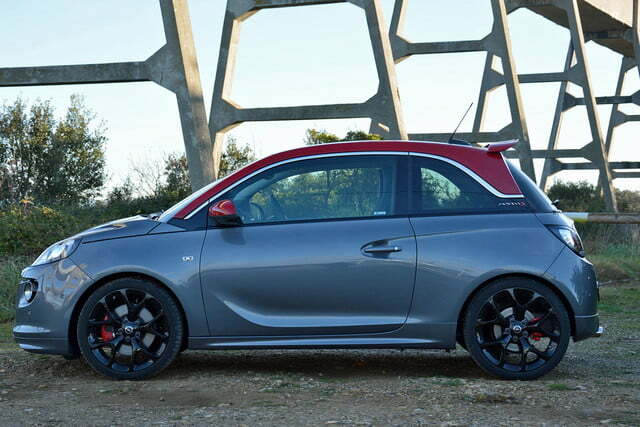 Our Adam S tester stands out from the standard Adam with a body kit that includes a deeper front bumper, side skirts, and a roof-mounted spoiler. Critics find the kit too boy racer-ish; they’ve got a point, but it looks much better in person than in photos. 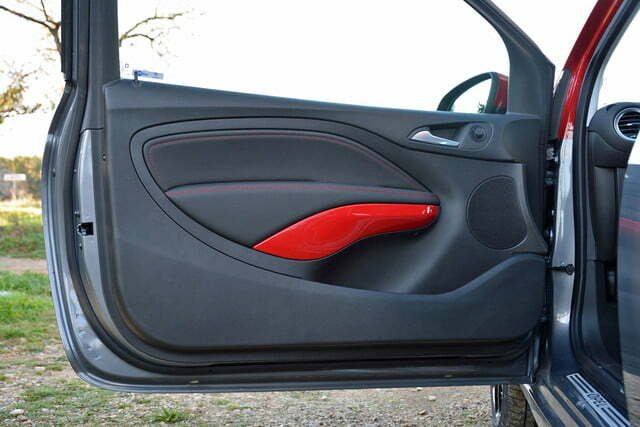 Inside, the Adam S is lightyears ahead of the Fiat 500. While the 500 feels like something you’d buy at Toys R Us to put your kids in, the Adam is more like a standard car that’s been shrunk down to fit in a small body. That said, Fiat doesn’t sell hundreds of thousands of 500s worldwide by accident, so it largely comes down to personal preference. Critics find the kit too boy racer-ish; they’ve got a point, but it looks much better in person than in photos. 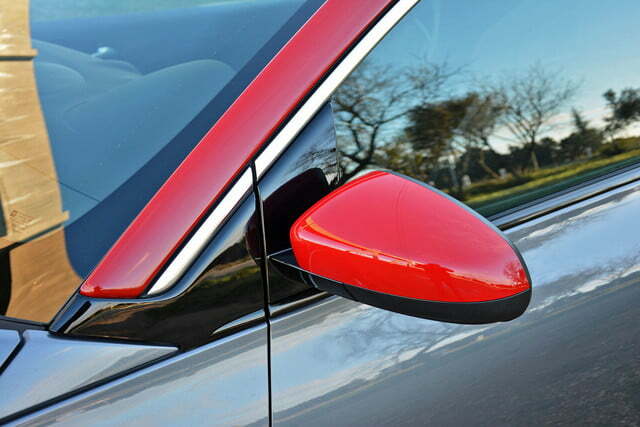 What’s undeniable is that the Adam is better built inside than the 500, and its infotainment system is both more straight-forward to navigate and more responsive to input. 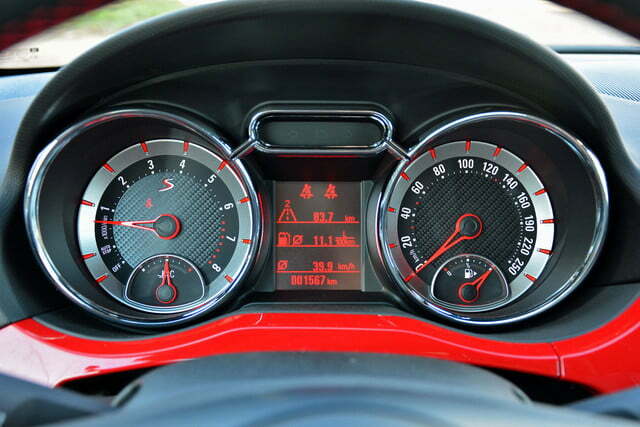 I liked that the instrument cluster is made up of two pods. 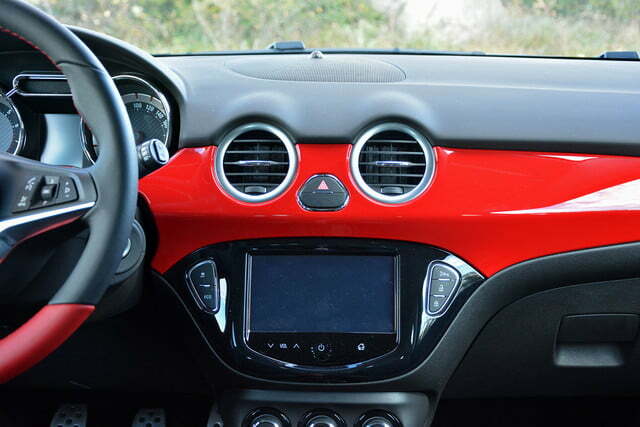 It’s easier to read than the 500’s heritage-inspired single-pod unit, but I wish that Opel would replace the TFT screen with a high-resolution unit that doesn’t look like it came off of a 1990s VCR. 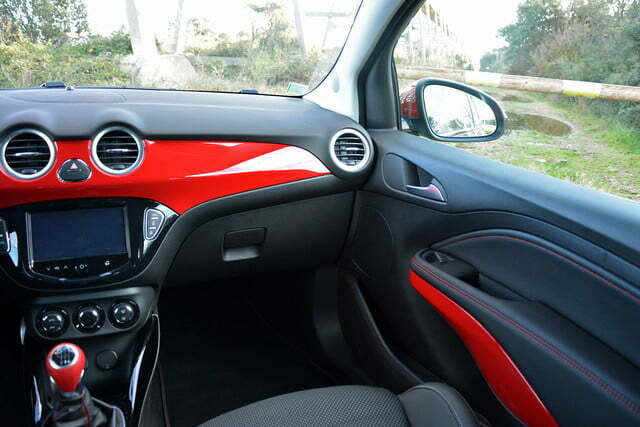 The front seats are spacious, and two full-size adults can sit in them without rubbing shoulders. 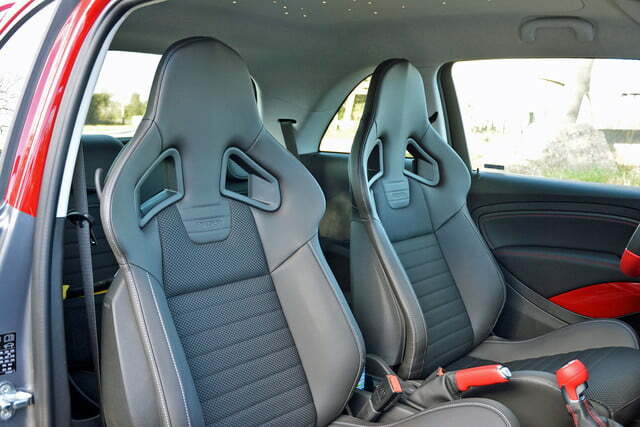 The Adam’s standard seats are not only plenty comfortable, they also provide an adequate amount of support, making our tester’s Recaro buckets seem rather superfluous. 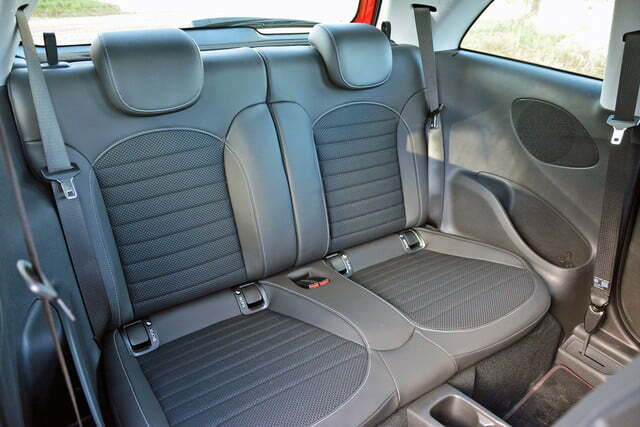 The rear seats are usable, though they’re best left to children and small passengers. 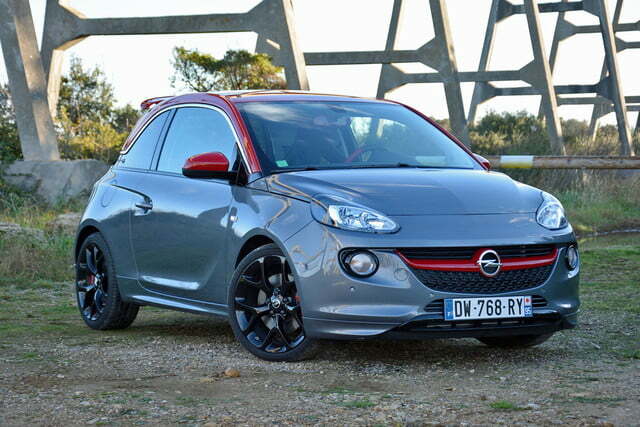 You might be wondering why Opel didn’t slap an “OPC” badge on the hotter Adam and call it a day. I asked, and a spokesman for the company told me that the S isn’t extreme enough to be considered a member of the OPC lineup. 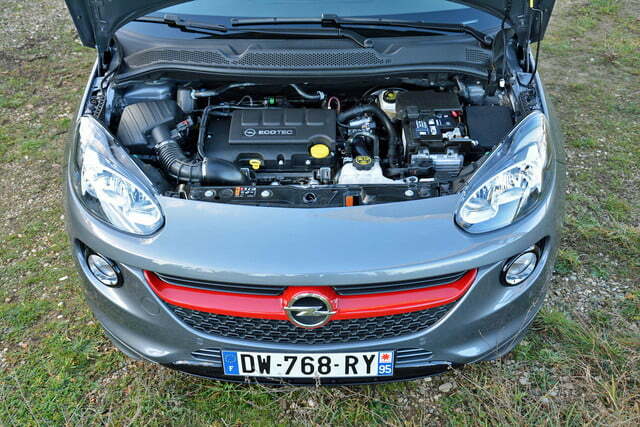 In other words, Opel would rather limit the number of OPC-badged cars it sells than dilute the nameplate with half-hearted attempts at boosting sales figures. 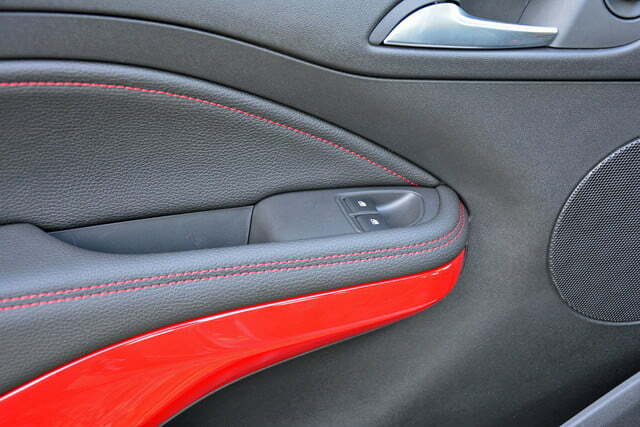 I applaud Opel for that strategy. Unfortunately, the spokesman also strongly suggested that a full-blown OPC-tuned variant of the Adam isn’t in the pipelines for the time being. That’s a shame; I’d love to see an even more extreme version of the S powered by the rally-spec Adam R2 187-horsepower engine. 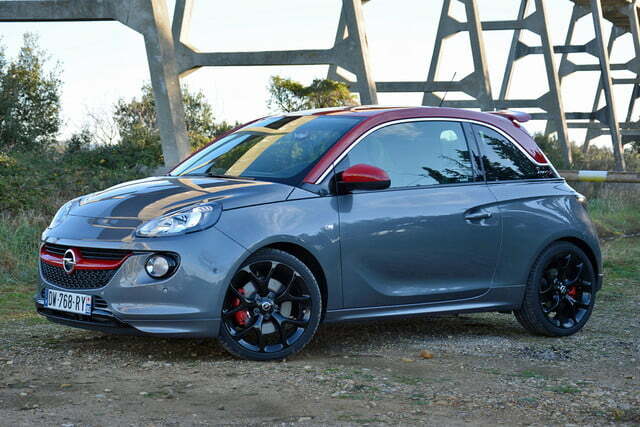 With that in mind, the S is more entertaining to drive than the standard Adam but it falls short of being a true hot hatch, especially out on the open road. The turbo four is lively and responsive when low in the rev range, but it loses its breath as the rpm rises and you end up shifting to the next gear up much later than you expect. In other words, don’t take it to the drag strip. 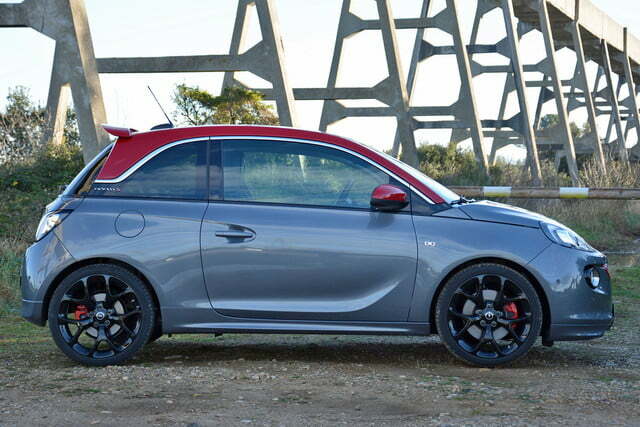 The Adam would need more power, a more responsive engine, and a raspier exhaust note to become a world-class hot hatch. 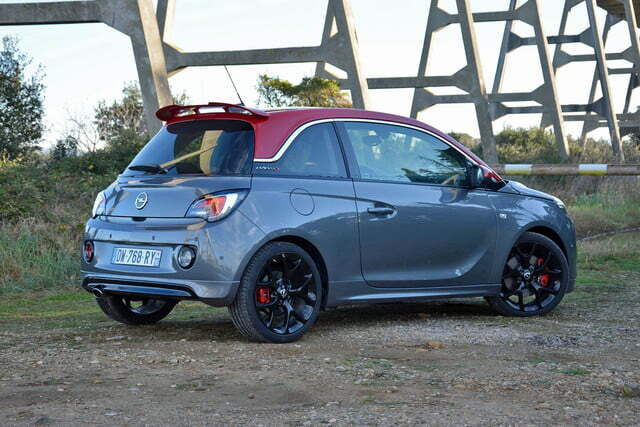 An Opel spokesman explained that the S isn’t extreme enough to be considered a member of the OPC lineup. 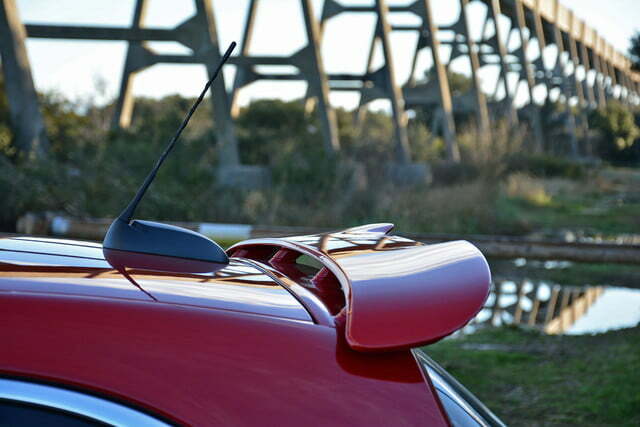 That doesn’t mean the S is a bad car, and it becomes more satisfying on twisty roads thanks to a sport-tuned chassis. Stiffer shocks that greatly eliminate body roll and a steering rack that’s light and precise make the S fun to toss around in the bends – clearly, there’s at least some OPC DNA in the mix. The 2,600-pound Adam is slightly heavier than the 500, but it surprisingly manages to feel much lighter than the Fiat from behind the wheel. 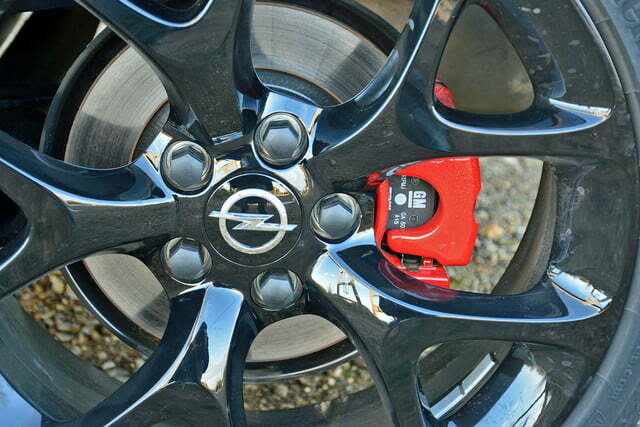 Upsized brakes securely bring the action to a stop with no fuss. The Adam shines in the city thanks to its compact overall dimensions, its short overhangs, and its tight turning radius. 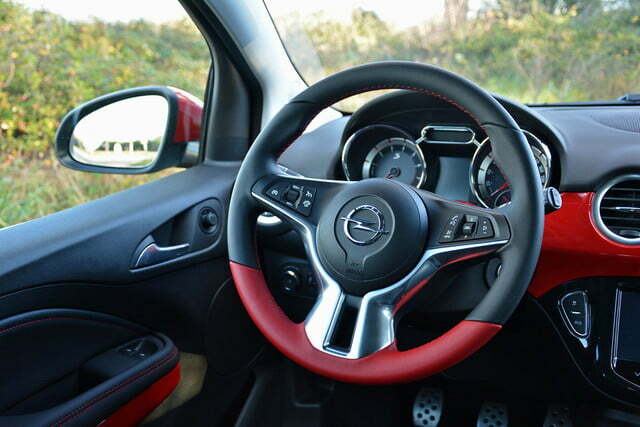 Additionally, its clutch is lighter than the one found in most city cars with sport aspirations, which is a real boon in stop-and-go traffic. A rear-view camera partially makes up for the fact that rear visibility isn’t great, a concession made in the name of a shapely C-pillar. 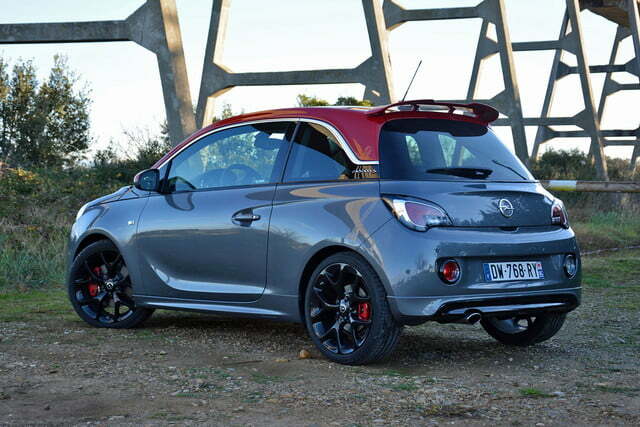 While I can’t consider it a hot hatch, the Opel Adam S proves that stylish city cars don’t necessarily have to be cute. The Fiat 500 sells on looks, so if you’re in love with its retro-fabulous design there’s no way you’ll consider anything else. However, if you’re willing to look beyond the sheet metal the Adam is a better car overall than the 500, which is showing its age in spite of a recent mid-cycle update. 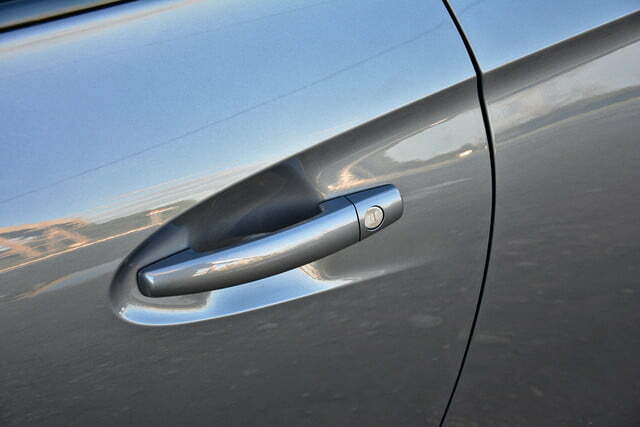 Want all-out performance? 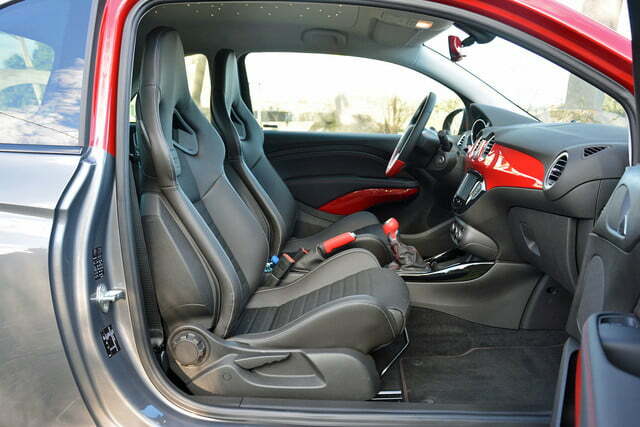 Your best option in the segment is still the 500 Abarth.